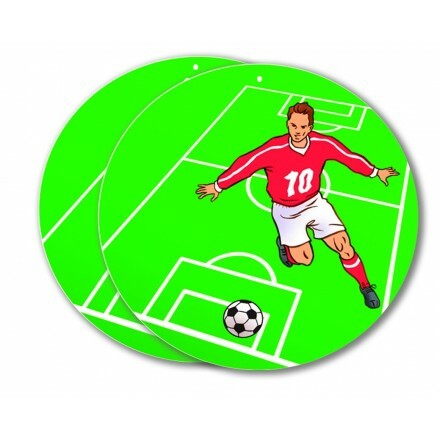 Deco Party UK offers an original range of sports party supplies. 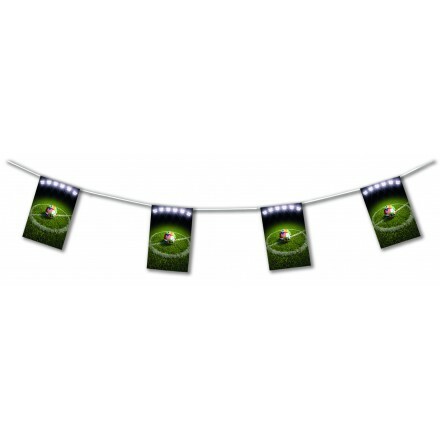 If you need any sports decorations ideas for your celebrations buy online your sport theme. From soccer party supplies to rugby party supplies, cycling party supplies to basketball party suppplies, Wimbledon Themed Tennis Party supplies and Grand Prix party supplies ( chequered ) we also supply ski party supplies for inter decoration or Olympic Games party decorations. Big stocks are available buy now for every occasion. 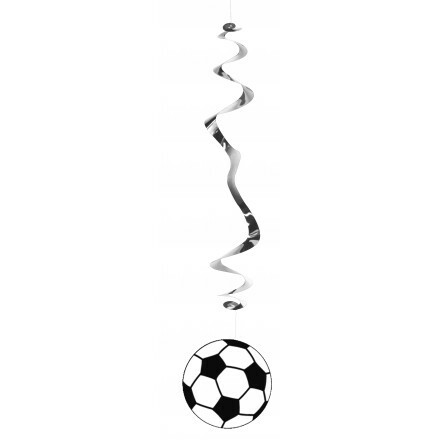 The best range of sport party decorations in the UK, high quality paper and plastic bunting, banner, flagline, hanging spiral decoration, cutouts, confetti, Our designs are so fashion and realists, all our own creations and selections, so all ingredients to make a memoral fest, party, event, celebration, room decoration... . Made in Europe in our factory. 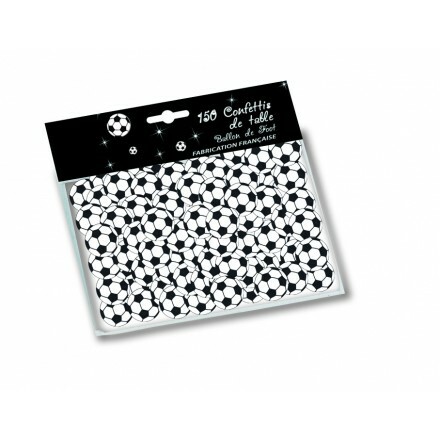 Deco Party UK offers a wonderful range of football party supplies and decorations. Sports decorations for office or home décor all football bunting, football cutouts, football hanging swirls, football confetti are made and designed by Deco Party UK. Most of our soccer bunting are paper flame-resistant flags, rectangular shape. 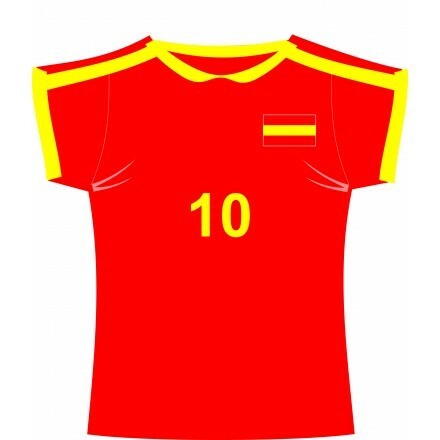 Other football banners are also paper flame-retardant with soccer ball shape to get a right and real effect. 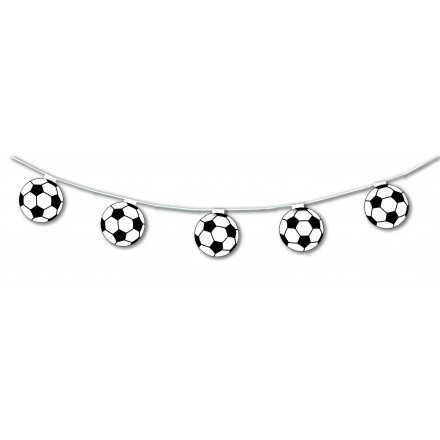 Perfect soccer decorations for Pubs, restaurants, night clubs, Hotels and much more. 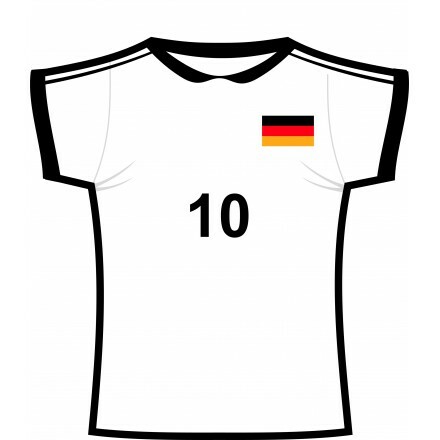 Buy online our original shirt cutouts, our soccer hanging swirl decorations, with either soccer ball black and white or Multi Nations soccer balls. While European soccer championship or soccer world cup we also propose Nations flag bunting with all countries which participate to the competition. These items are made in high quality with a very low price. A lot of people also buy soccer party decoration for birthday celebrations. 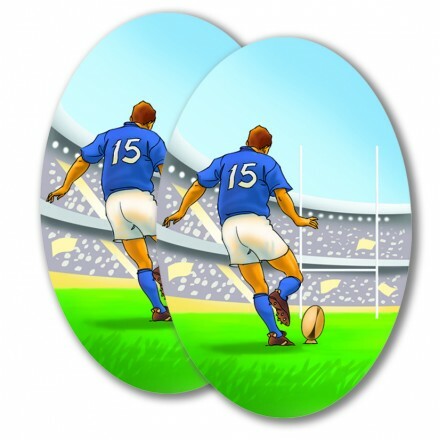 Our factory also give an original finish touch with rugby party room décor. 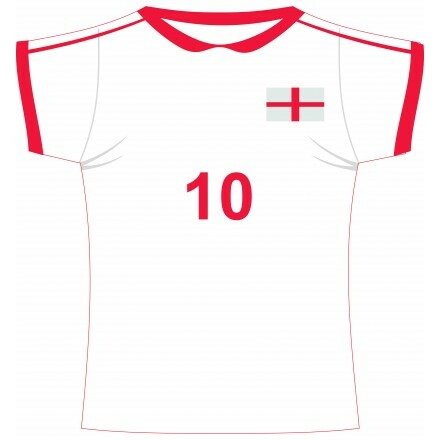 You can find rugby ball banners, rugby flag bunting with a lot of Nations available and of course a special plastic bunting flags for six nations rugby suitable for indoor or outdoor. 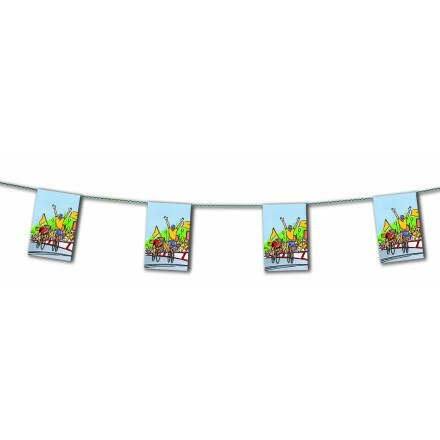 Need any rugby party decoration ideas ? 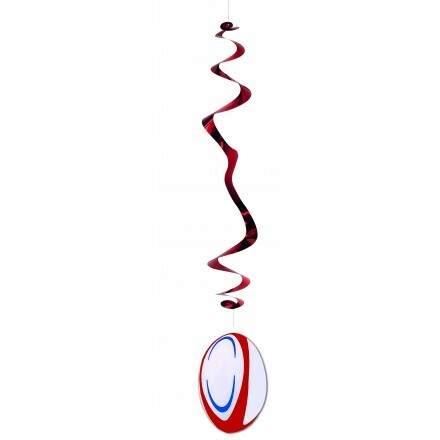 Buy directly our rugby hanging swirls with rugby ball or multinations rugby balls, rugby ball confetti for a unique rugby table decoration, You can find rugby decorations for Rose (English Team) Scottish Team, Dragon ( Welsh ) rugby team, Irish rugby team, All Blacks ( New Zealand Rugby Team ), Spring Box rugby team ( South Africa ) and Wallabies ( Australian rugby Team ). 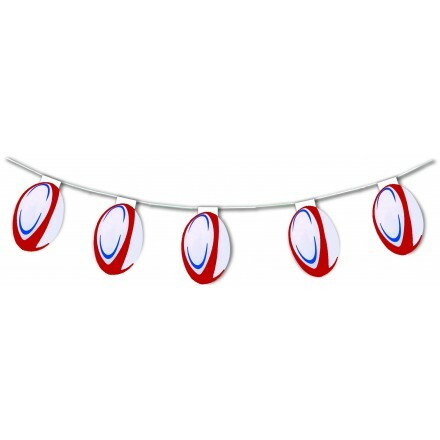 We also offer rugby party decoration when rugby world cup happens. Less popular but with a lot of needs this sport is more popular in American. Nevertheless we offer a great and gorgious collection : Basketball bunting in flameproof quality, basketball hanging swirls, basketball confetti in round shape for wonderful table decoration, basketball bunting flags and banners, basketball cutout circle shape 30cm diameter printed both sides. While le Tour de France in July, Tour of Britain every year in September a lots of stores want to decorate through their shop, desk, warehouse and much more. 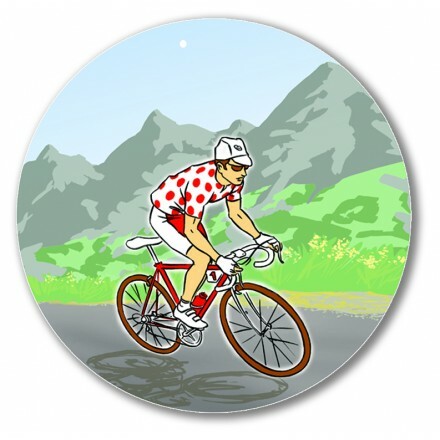 So Deco Party UK created a cycling bunting and an original cycling cutout with polka dot jersey ( shirt ). Cutout are perfect decorations to hang from the ceiling, branches of trees or to stick from the walls at a very cheap pricing. Cutouts are printed both sides and are circle shape. 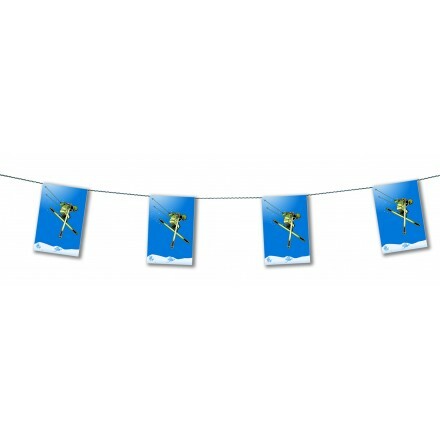 Deco Party UK offers a ski bunting flags, for Winter Party Decorations or sports party events. Four different products are available for race decorations, all checkered black and white. Buy now our top quality plastic chequered flag bunting, in 5m or 10m lengths, chequered confetti for Grand Prix table decoration, sprinkle these unique checkered confetti on your table, chequered cocktail picks and checkered hand wavers. 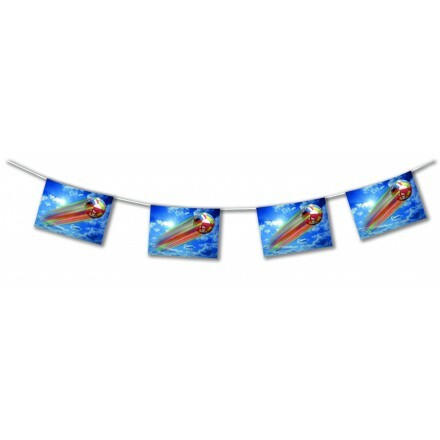 Would you like to order these sports games party decorations in bulk ? If you have been a wholesaler, a reseller, a retailer in the UK or in Ireland, feel free to send us your enquiry with quantity you would need and we will offer you our best prices. 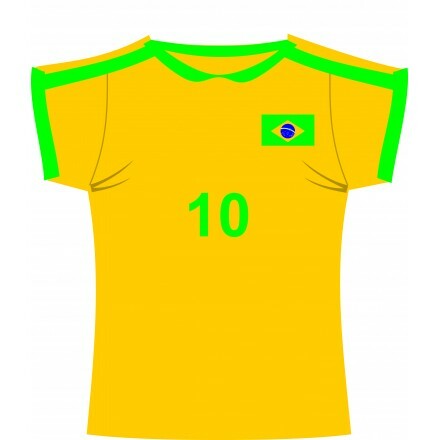 We also can make personnalized items for these sports events. 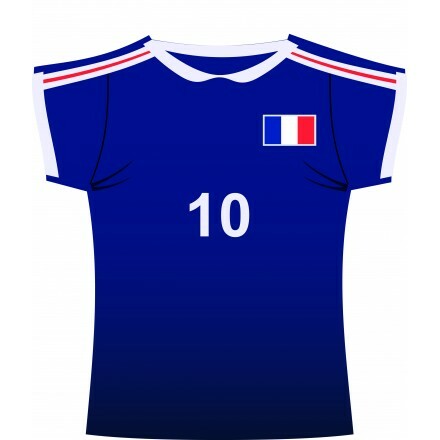 We normally dispatch very fast orders you would place us nevertheless take care delays can be longer while soccer world cup, rugby world cup, basketball European championship, Tour of Britain.